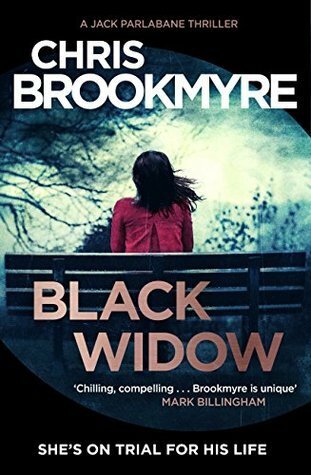 Before I start my review, I want to thank NetGalley and Grove Atlantic for allowing me to review Black Widow by Chris Brookmyre. Diana Jager’s character was a hard one to like and to sympathize with. Her childhood is less than perfect (cold father, distant mother) and her adulthood hasn’t been any better. She anonymously wrote a blog that basically called out Scottish surgeons for sexism in the hospital. Then her life came apart when she was hacked by some hospital IT guys and her personal information was leaked. She is let go from her job (and yes, the IT guys were punished) and immediately got a new one in Inverness….where she meets Peter. I didn’t like Peter from the get-go either. He came across as too naive and too nice. Normally, that isn’t an issue but it bothered me (and I am glad that it did). Plus, he was too secretive with Diana. Add in Jack’s storyline and you get a mystery that will keep you absorbed until the end of the book. I will say that while I normally don’t like it when the author switches suddenly between points of view but in this case, it worked perfectly with how the story is being told. While it gives the impression of jumping around, it really doesn’t. The author did a great job of keeping a bunch of things hidden until the end. Let’s just put it this way, the ending messed with my mind because what I thought was true ended up not being true and it screwed with me….lol. I finished the book while sitting next to BK and my exact words to him about this book were “This book just mind fucked me” (pardon my French). Why? This is a genuine whodunit with false leads, red herrings and dead ends masterfully woven into the tale. The fact that this is the 7th book in the series isn’t even a point with me because this is a totally standalone book.